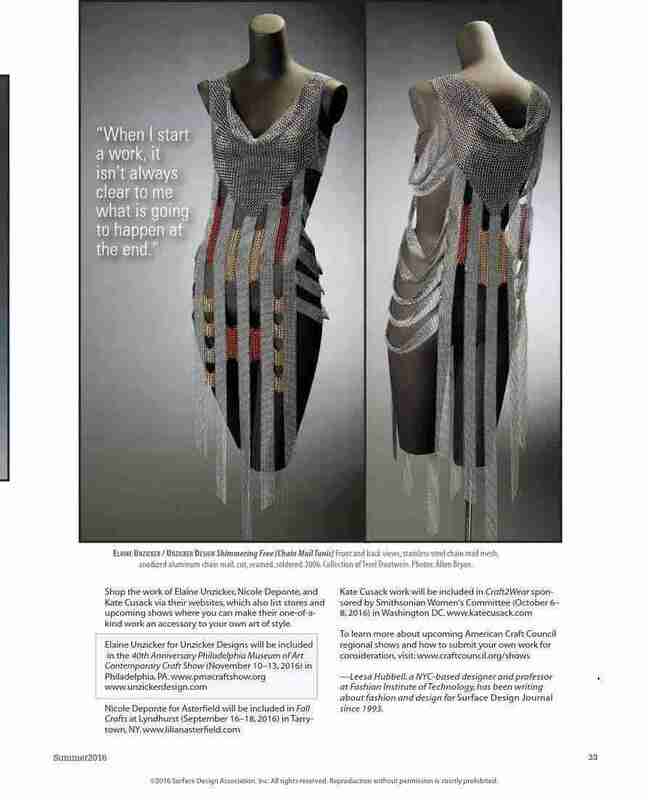 Surface Design Magazine is featuring an article about Elaine and two other artists in their issue “The Body Embellished” . 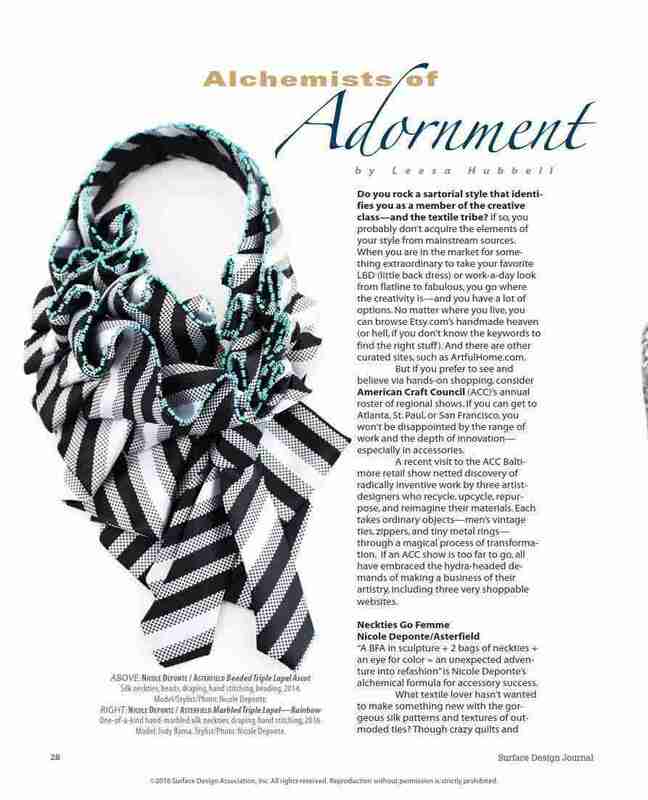 The article “Alchemists of Adornment” talks about how to find truly creative styles to enhance your wardrobe (hint: No big name department stores are mentioned). 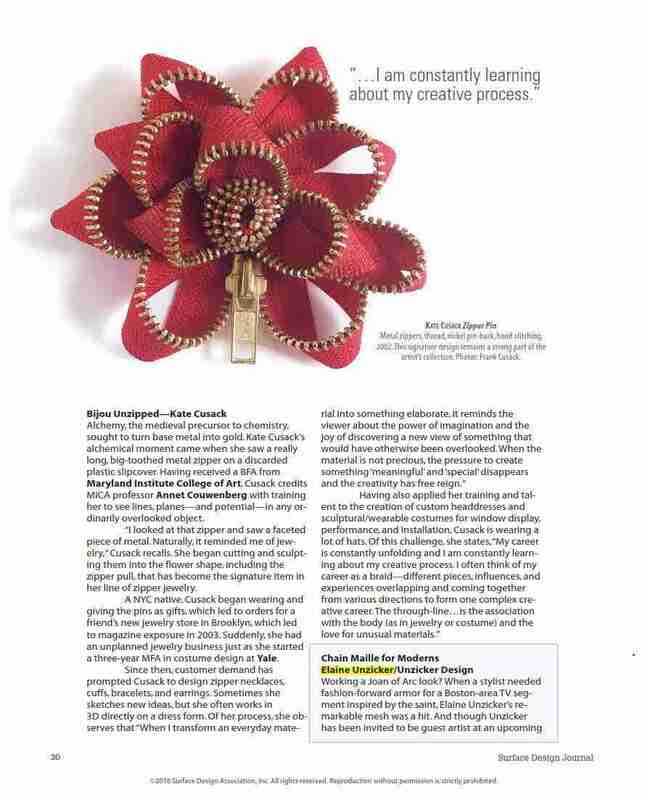 But the real focus of the article is artists who find new ways of interpreting “ordinary objects”. 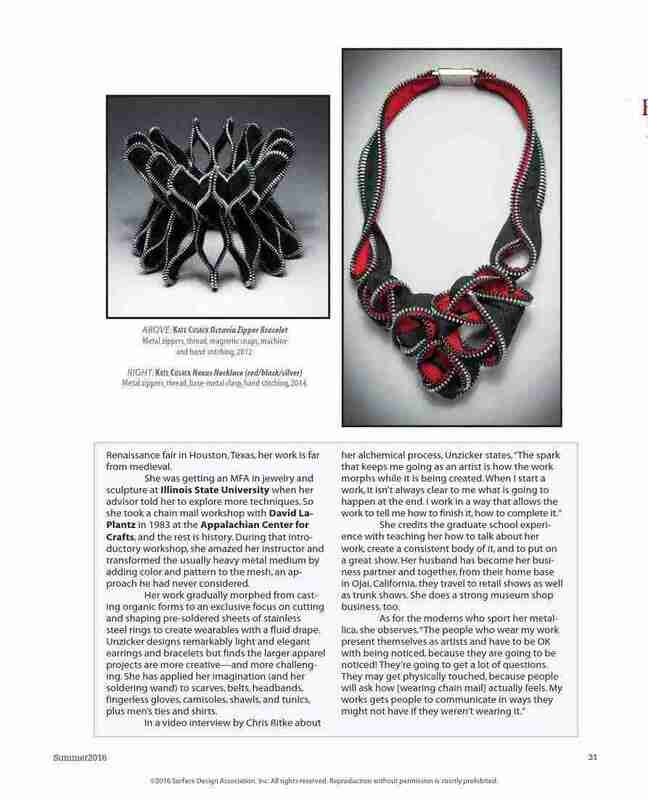 It’s a well-written article and features plenty of photos of Elaine’s work (including some by local photographer and artist-documentarian, Donna Granata.